It’s still Ant Egg Season and there are plenty of ant eggs available at the local market in Vientiane. For lunch today, Aunt Kian made Ant Egg Soup and Chili Pepper with Mushroom Dipping sauce. 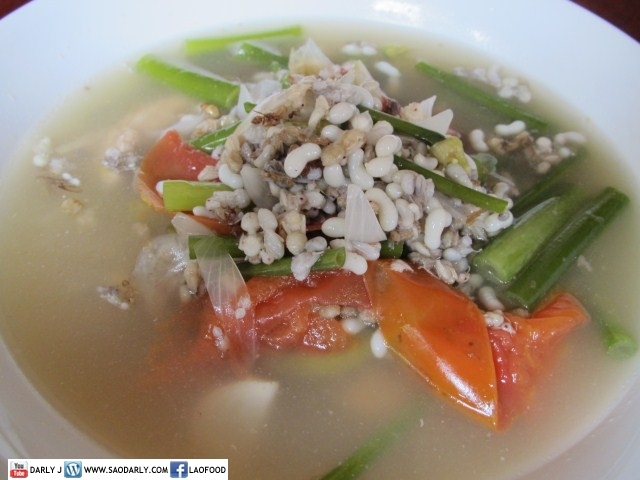 Rather than adding chicken, mushroom, or other types of vegetable to the soup like she often did in the past, Aunt Kian made the soup using ant eggs as main ingredients and added some tomatoes and green onions to the soup. 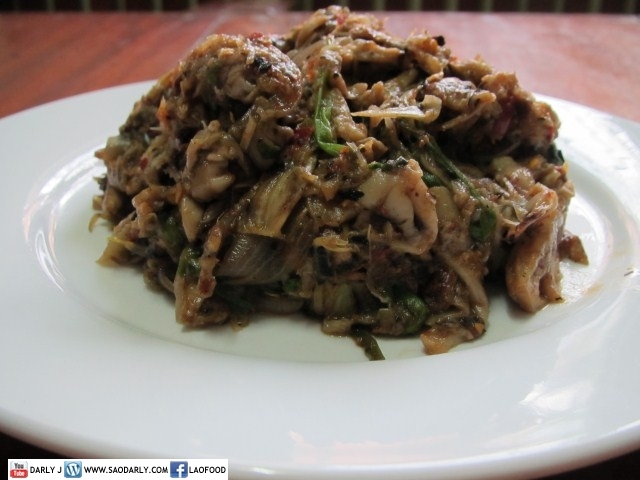 It was a delicious lunch for the entire family members with warm sticky rice to dip in the Jeow Hed and Kaeng Khai Mod Daeng.